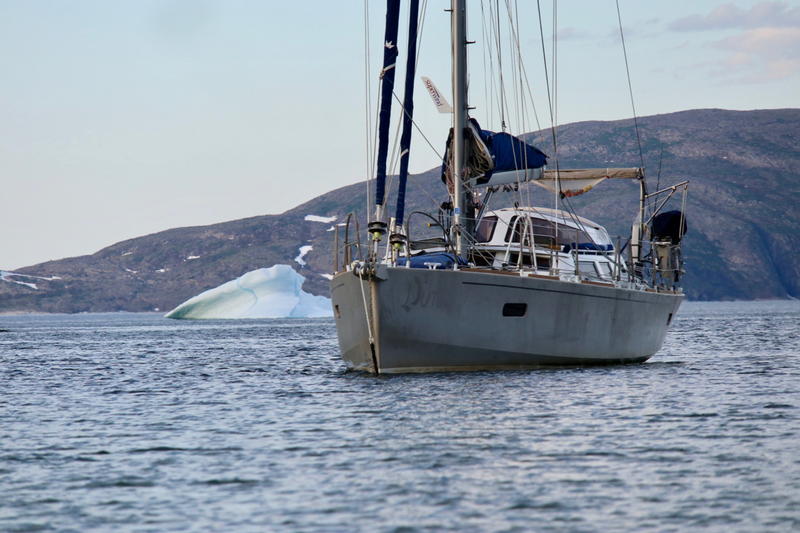 From Hopedale we travelled 55 nautical miles up to Tunngaylualok Island, then another 95 miles past Nain, on to Cut Throat and finally another 50 miles to Mugford Bay. 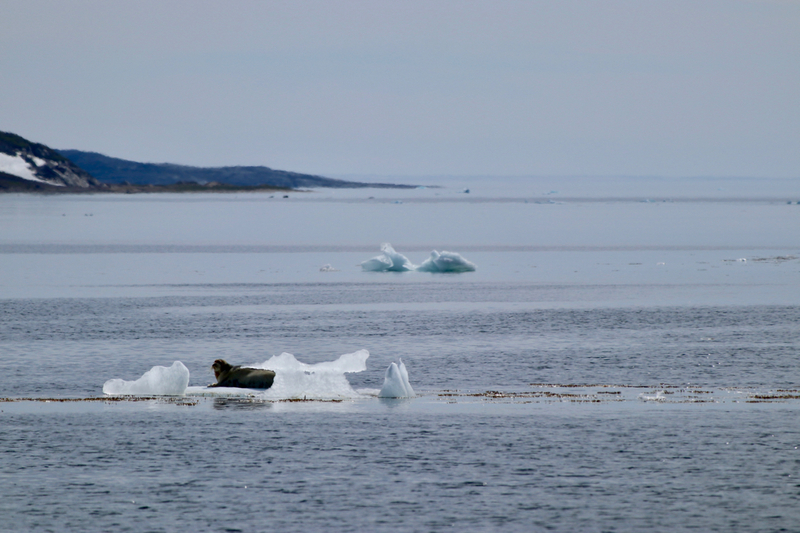 There was more and more ice in the water the further north that we ventured, and the odd cheeky seal floated by relaxing on a piece of sea ice. 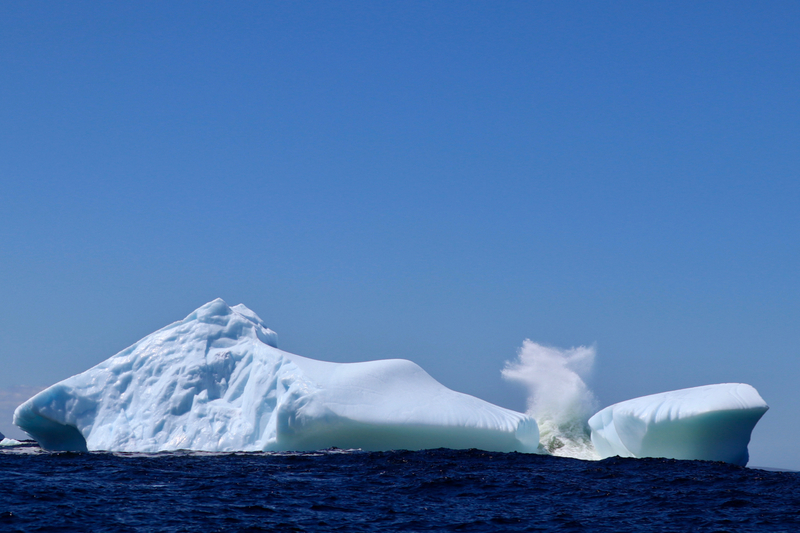 Due to the ice we only travelled in this area during the day, and they were long days requiring vigilant look-outs. As a test we slowed to 1 knot and gently nudged a small growler to see what the impact would be. It was a loud bong. A good test to reinforce the power of even the smallest bit of ice to cause significant damage and keep us on high alert. After Nain the scenery becomes almost immediately more intensive. 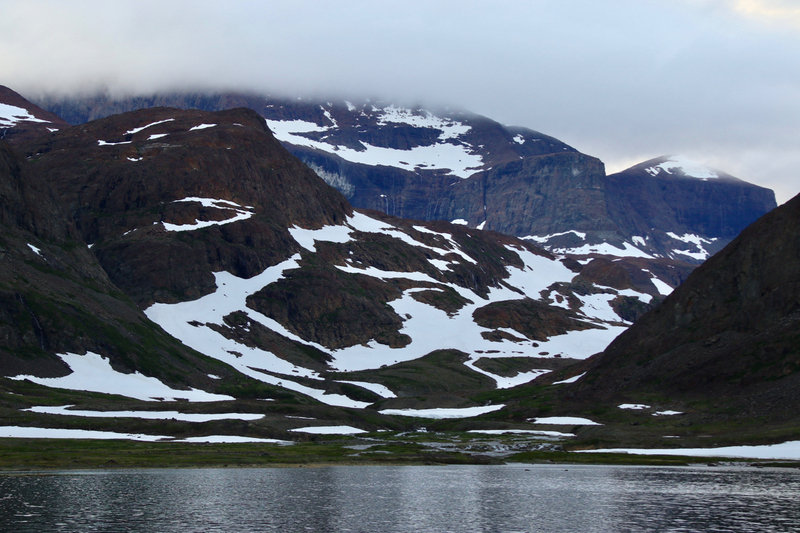 High dark cliffs and a great deal of snow melting into huge cascading waterfalls. 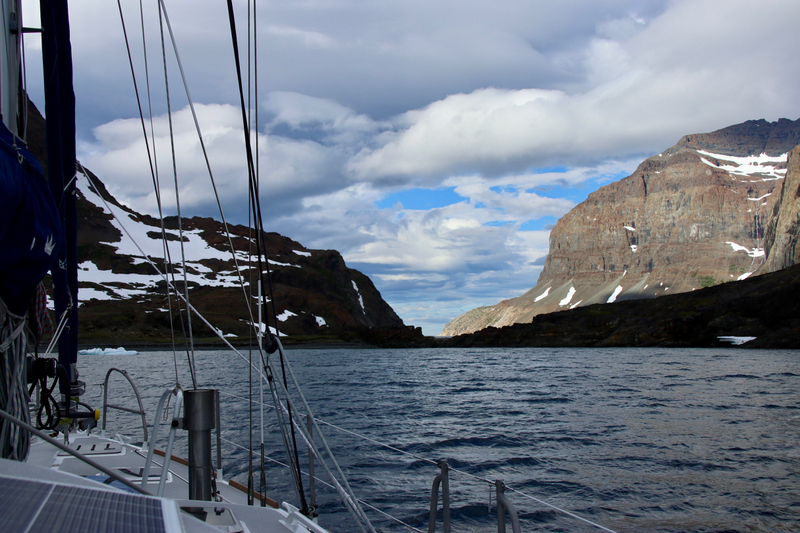 This was a foray into truly unchartered waters, north of Nain is essentially uninhabited and the spectacular fjords range up to 1600m high cliffs. 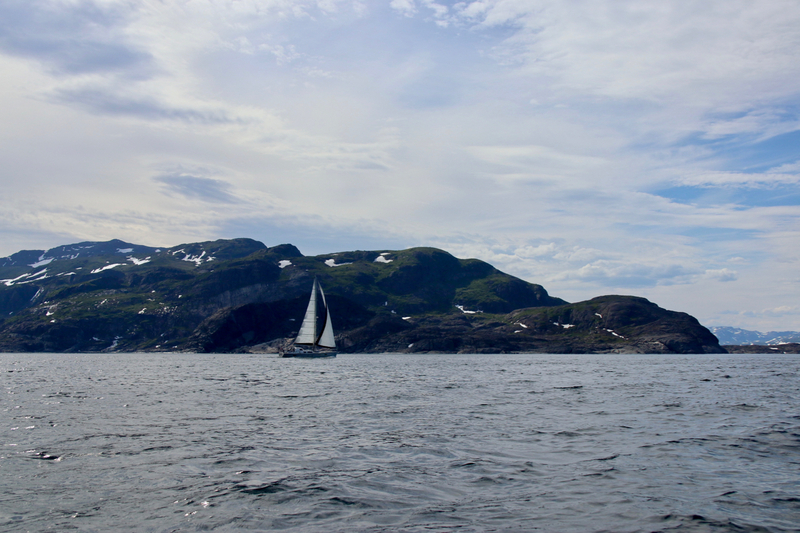 Upon entering Mugford Bay we headed up the Lost Channel to a small isthmus that was to be our most northerly point. The Lost Channel is squeezed between huge cliffs and this delivers huge blow-me downs, incredibly high winds reaching 40 knots. There was a lovely rocky beach leading up to a river and we were tempted to take a fabulous scrambling walk/climb right into what looked like it could have been from the set of the Lord of the Rings. We also had heard we could find tent circles and burial cairns from the early Inuit. 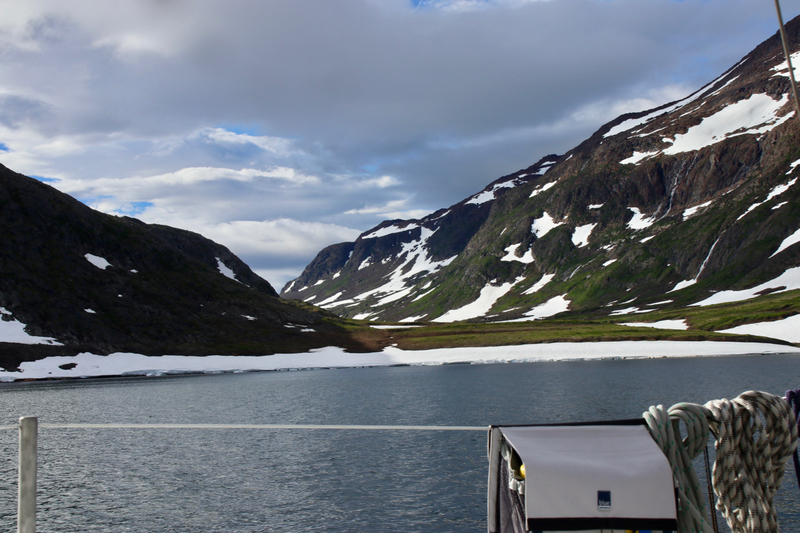 But sadly we did not dare to leave the boat as the polar bears in the area are very dangerous predators. We were offered the loan of a rifle by our friends in Hopedale but we hadn’t taken them up on it…and I am rather sure we would not have gone ashore even if we had. 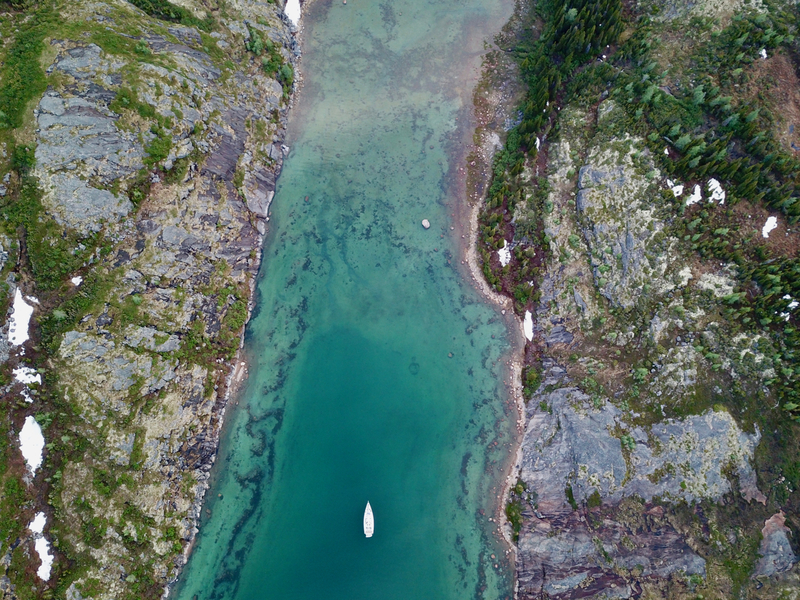 Although it was a spectacular spot the depth was >50 meters, the winds high and the channel narrow so we turned back to Calm Cove to find a more comfortable place to set our anchor for the night. And we were right to be cautious of polar bears. Macsen and I saw a polar bear in the Lost Channel! Emma and Seb missed it but it was exciting enough for all of us just to know that it was there. 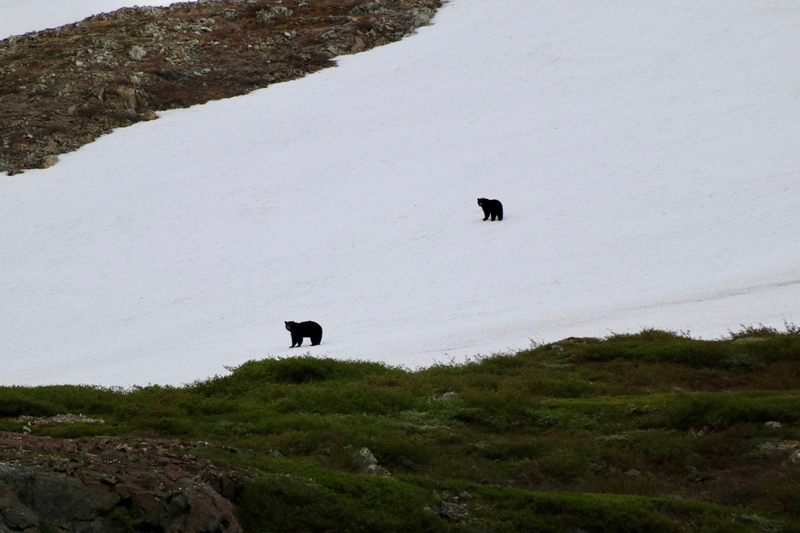 There were also several (much less aggressive but still large, fast and powerful) black bears ambling through our anchorages, often several per day. In Calm Cove there were bears almost constantly in the fields around the boat, foraging for berries. 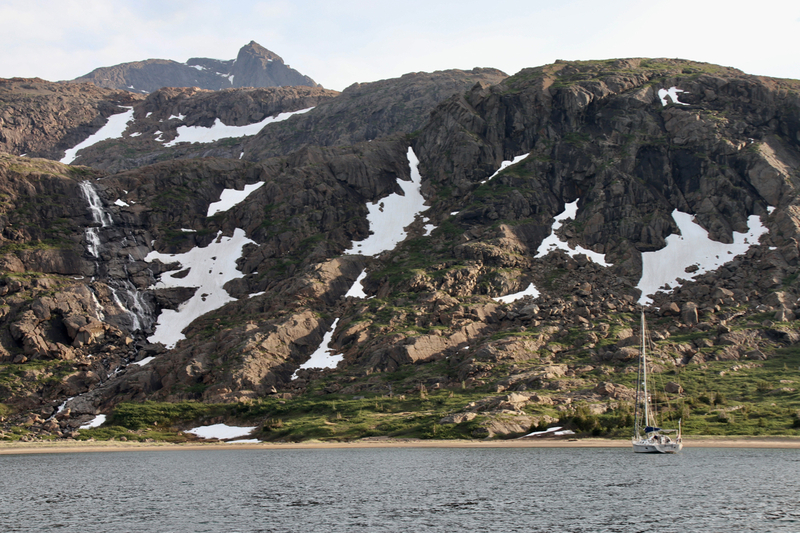 Our last anchorage in Northern Labrador was in Kiglapait Harbour, one of the loveliest spots that I have ever seen. Huge cliffs with great waterfalls created the backdrop to a soft sloping cove with gently rolling grassy sand dunes (yes, sand dunes in Labrador), interspersed with massive boulders and copses of little bright green trees all ending in a lovely curved soft sandy beach. 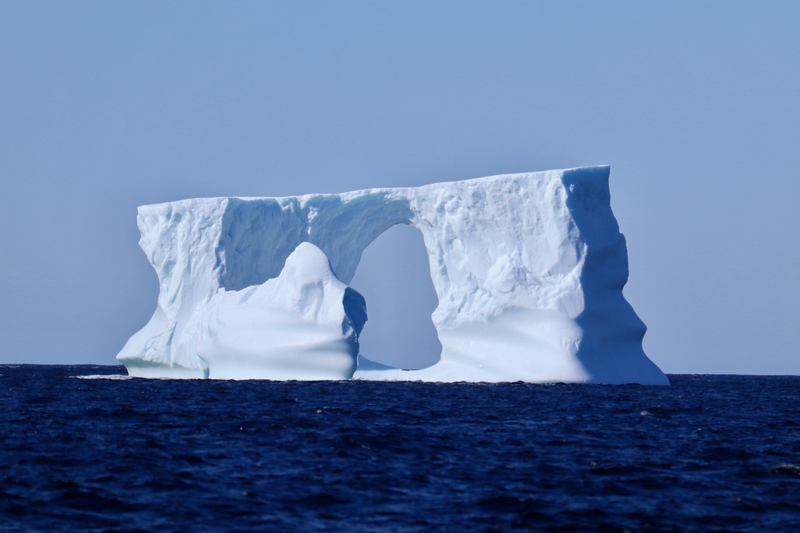 This little marvel of nature was topped off by a wonderful iceberg sculpture just off the entrance. 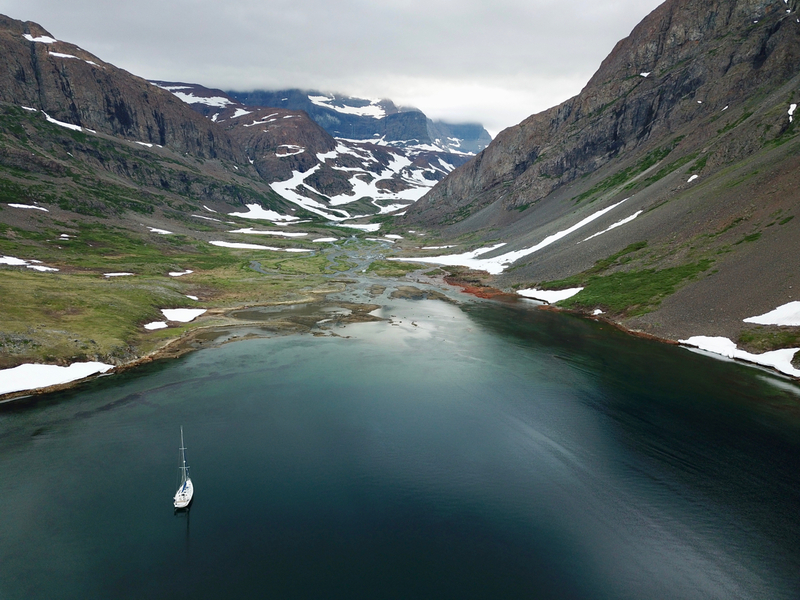 After 7 days without leaving the boat, with no contacts with other people (excepts the daily emails picked up on our sat phone) but with our minds full of wonder at the marvels of nature, we pulled into Makkovik, another Nunasuivut community. Wi-fi time! Onvergetelijke momenten moeten dit zijn! Zo ver weg van de ‘bewoonde’ wereld. Dapper hoor! 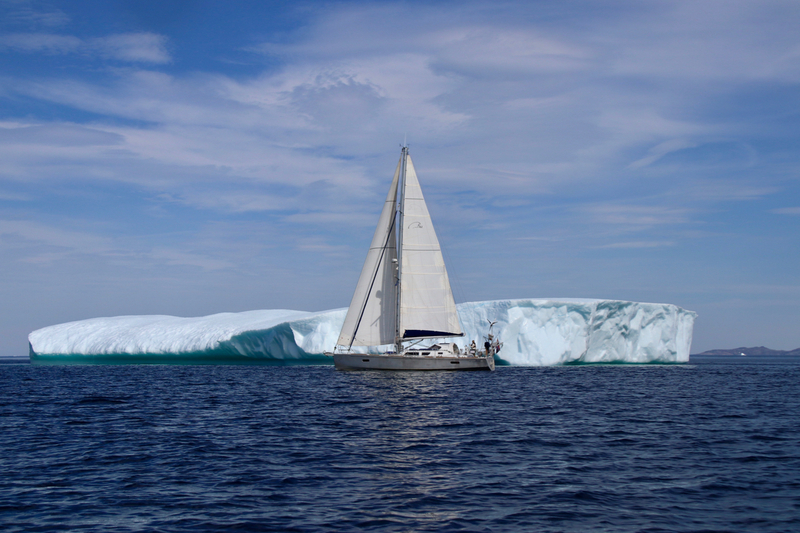 So glad you got to experience more of Labrador, without a doubt our favourite cruising ground. Your post stirred up great memories for us, making us want to return. Many thanks. When you do make it back – please let us know and hopefully we can meet up somewhere along the coast!